This entry was posted on 6th June 2018 by Muireann. Ladybirds (or ladybugs if you prefer) tend to be more prominent after a spell of hot weather like we have just had, and we have noticed that we are fortunate enough to have some in our garden. If you are not familiar with Ladybirds larva you may be inclined to think that it is a pest that you should think about getting rid of. 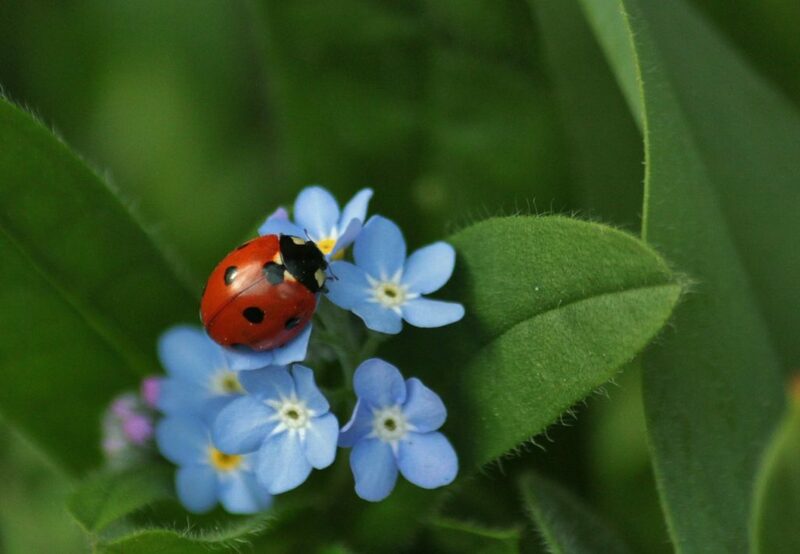 However having ladybirds in your garden is of great benefit to any organic gardener as they help to eliminate destructive pests like aphids, mites and scale insects. The female ladybird will lay 10-50 eggs on a plant that has enough food for her offspring to eat once they have hatched. As there are many species of ladybirds not all their eggs look the same - they can vary in colour from almost white to a bright red or orange colour. What they do have in common, however is that they are always taller than they are wide and will be in a tight cluster. A cluster of ladybird eggs on the underside of a leaf where you will often find them. 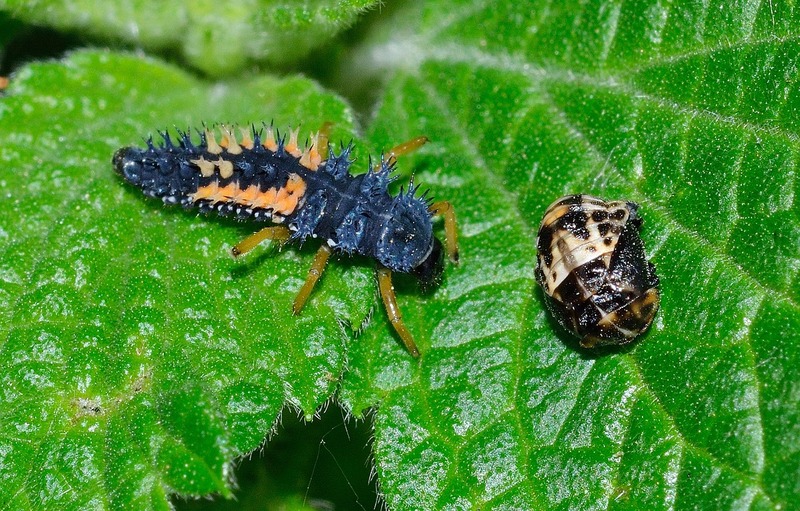 Ladybird larvae are commonly mistaken for pests as they are quite fearsome looking - they are absolutely harmless to both you and your garden but they are incredible predators. 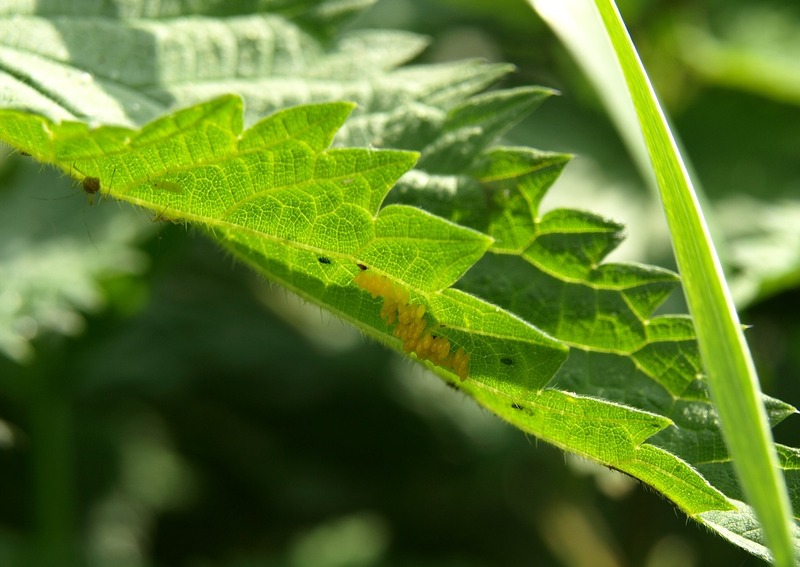 One larva can eat dozens of aphids in a day whilst also munching away on an array of other common garden pests such as scale insects, mites and other insect eggs.